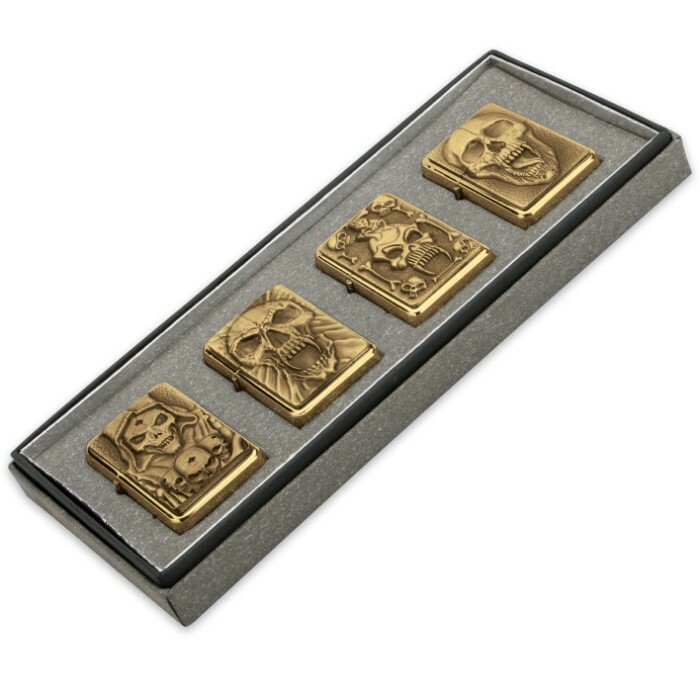 Raging Skulls Brushed Brass Lighter Set | BUDK.com - Knives & Swords At The Lowest Prices! This 4-piece set of lighters is the perfect gift for a collector. 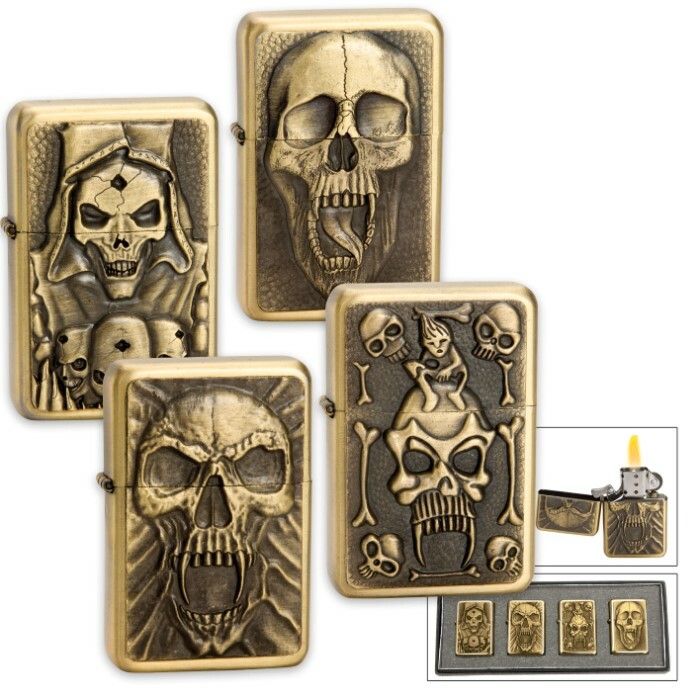 Each of the brushed brass lighters is artfully engraved with an individual skull motif and the back of the lighter is polished to a mirror sheen. Lighter fluid is not included. 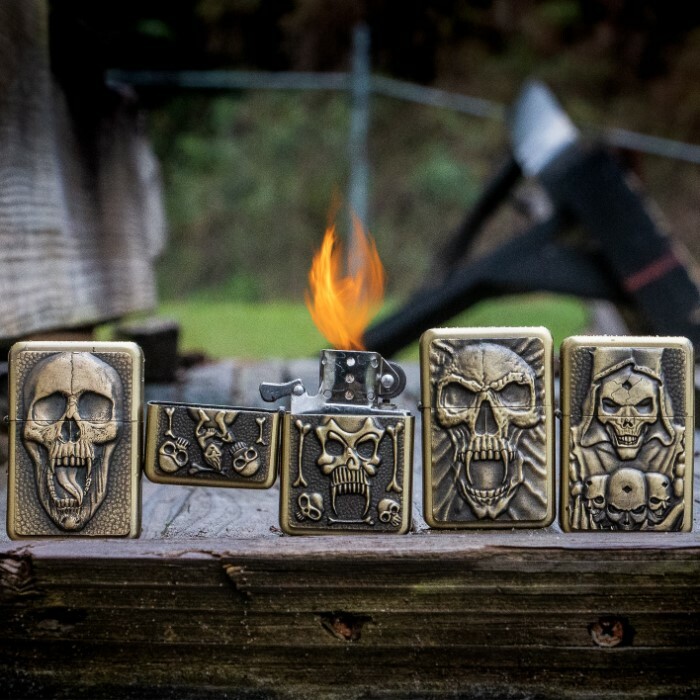 Great lighters! I bought two (one for a friend and one to keep) and they're full of details. Really cool and fun. Seems to have a better seal than other lighters. Only had a couple times it not lite on first strike, but much much more reliable than a $10 lighter I bought. 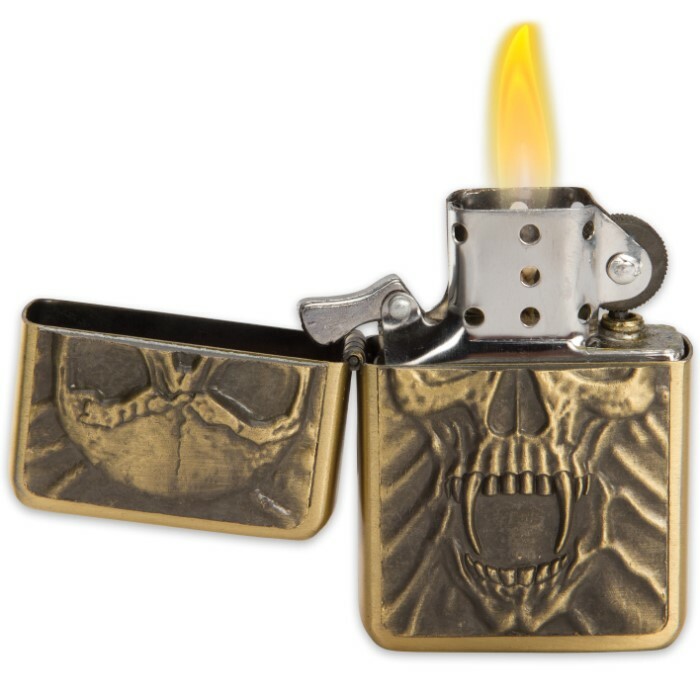 Worth every penny for these lighters. These lighters are an excellent value for the money. I am very happy with this product and plan to order more when they are back in stock.